Warren Rockley takes a good look at good, old fashioned Customer Service and a wry swipe at modern day Customer Service and says some of the old adages work well in making your customer want to stay with you. 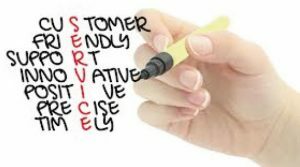 Customer Service as a concept arose out of the demise of small business and face to face commerce, when all business was transacted in local shops where everyone was known by name there was no need for customer service as it was part and parcel of running a business in the community. Business owners understood the need to keep their customers happy as their livelihood directly depended on it. Business owners understood the need to keep their customers happy as their livelihood directly depended on it. With the demise of the small shopkeeper with his vested interest in happy customers and the rise of the multinational company, Customer Service was born. 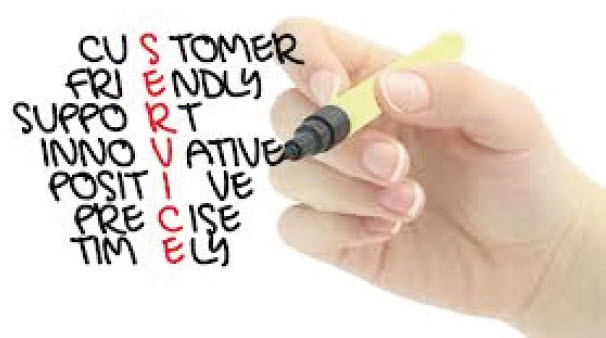 Customer Service is the practice of servicing the customer ’s needs. It should serve the customer but all too often it is the bare minimum from companies acting in their own interests. 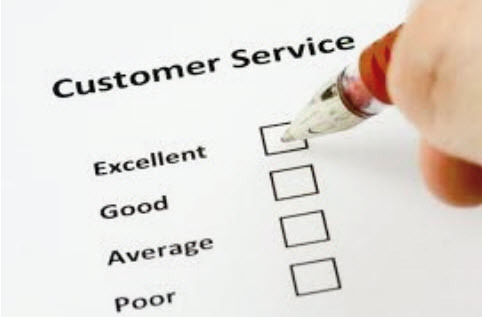 I intend to show you how to offer a better service to your customers. The time taken to read and understand the above legislation is time well spent for everyone, both business owner and customer alike. The core of good Customer Service is managing expectations; everyone expects to be treated with respect and civility, to be treated fairly and with a speedy resolution. These are reasonable expectations that should form the core of all interactions with customers. Everyone also expects to be given accurate information, if a customer feels mislead or lied to then this will degenerate the relationship. It is advantageous to always portray the company in a positive light however this should not extend to misleading customers. Your customers NEED to be kept informed of pertinent information, communication is key to good Customer Service. Please don’t be tempted to ‘miss out’ information that may be unfavourable as, if discovered by the customer, this will make you look underhanded and dishonest. Companies with more than one employee will have defined roles for each employee, no one person will be able to handle everything. Every employee is a representative of the company and customers should not need to know the internal structure of a company to be able to resolve a suffer from a ‘Not my department’ culture with no-one taking ownership of a problem. In these cases the customer can feel undervalued and unappreciated. When an employee is asked a question that they cannot resolve, ‘Not my department – I will transfer you’ is NEVER the correct response . An appropriate response might be ‘I am sorry I cannot resolve that query personally, I will find the answer for you’ or ‘That is not something I can resolve myself, I will get the correct person for you and explain the situation to them so that you do not need to repeat your query’. Every customer is as important as the next, whether they spend £1 or £1,000,000 and they all deserve to be treated with equal attention. This is an area where many companies fail, they treat their big clients excellently but pay very little attention to the small spending customers. Every customer should be treated with the same level of care and consideration regardless of their perceived value to the business. Customers who do not feel valued, take their custom elsewhere. During customer interactions it is important to be able to correctly assist each and every customer to the limit of your abilities, the Customer Service Mistake is created where the limit of your abilities is lower than that required to assist your customer. You should realise where your limitations lie in relation to that which is required to service your business and customer s, an example for Locksmiths, if you cannot pick the common Mortice locks in your area and instead drill the door and lock in every instance then you are not offering good Customer Service nor are you demonstrating the required competence in your field. This covers a number of areas, the old adage of ‘Under Promise – Over Deliver’ covers the majority of what is needed in this area. You can help yourself and your customers by setting reasonable Customer Service goals and managing customer expectation s around them. Every customer should be treated with the same level of care and consideration regardless of their perceived value to the business. Customers who do not feel valued take their custom elsewhere. It is better to promise delivery in five days and deliver in four than to promise delivery in two days and deliver in three. You will find it much easier to discuss delivery timescales ahead of time than ‘objection handle’ once the delivery is late. Mistakes/delays/unforeseen occurrence s happen to everyone, allowing for these when quoting for jobs or giving timescales will make for a better experience for you and your customer. Paying close attention to the above points, ensuring you do not make these mistakes with your customers, will make for a better customer experience . Remember that happy customers are the best advert for your business.